Everyone knows that kale is nutritious, but it can be a little hard to swallow sometimes. Prepare it right though, and kale is a nutritious and delicious dish! This shaved apple and kale salad recipe has crisp yet tender kale and a sweet and tangy taste that appeals even to young taste buds. My kids are fairly adventurous eaters (even the youngest ones) because we haven’t relied on processed foods to satiate their appetites. However, they are still kids after all and don’t like everything my husband and I do. 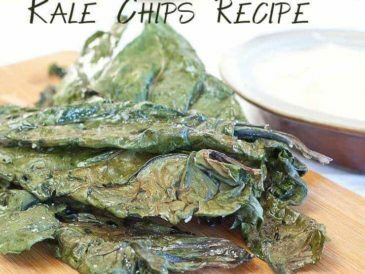 My kids take a pass when it comes to cooked kale, but they love kale chips, and now this kale salad too! 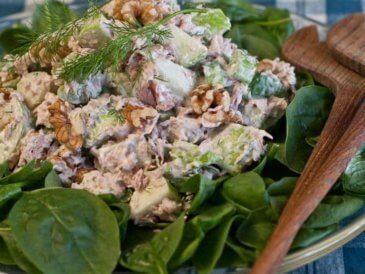 This salad takes just a few ingredients and little prep, but the result is really impressive! The key here is to gently massage the kale (yes, massage!) which breaks it down and makes it tender enough for a salad. Small leaves of curly kale or Russian kale are best for salads. Check out this video for a fun shortcut way to de-stem the kale for the salad. Note: While kale isn’t on the EWG’s Dirty Dozen list it leans to the pesticide-laden side of the list, so when possible buy organic. An apple a day may or may not keep the doctor away, but it’s a tasty way to get more fiber and nutrition. I used this spiralizer to shave the apples into thin slices that add just the right light crunch and sweetness to the salad. I like to use Fiji or Honeycrisp with the skin on for a nice pop of color. Conventional apples are one of the most highly pesticide contaminated foods and have consistently made the Dirty Dozen list every year. Prioritizing organic apples when it fits the budget can really help to cut down on pesticide intake. The onions are optional in this recipe, but they help to round out the flavor and add extra crunch. 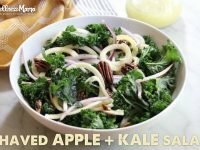 Since this apple kale salad is made with a vinaigrette, the onions take on a sweet and spicy flavor similar to my easy 5 minute pickled onion recipe. The best part though is that onions are high in an antioxidant called quercetin. This nutrient has been scientifically studied for its ability to fight cancer, boost immune function, protect the heart, improve circulation, and more. I talk more about the benefits of onions and quercetin in this post here. Dressing makes the salad, and olive oil is the star in this one with its smooth nutty flavor and nourishing healthy fats. Unfortunately, real olive oil can be difficult to find on grocery store shelves. Certain manufacturers thin olive oil with cheaper, unhealthy substitutes, like canola oil. I cover that topic and how to find unadulterated olive oil in this post. Bottom line, real olive oil is full of health benefits, but it can be a little pricey. I reserve my pure extra virgin olive oil for topping things like this salad, and use tallow, butter and lard to cook/fry with since they’re more cost effective. It seems like there are as many uses for raw apple cider vinegar as there are for coconut oil! Both have a prominent place in my pantry shelf. 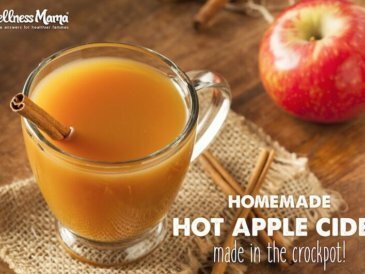 Apple cider vinegar that still contains the mother is much more pungent than white vinegar and is full of beneficial bacteria and acetic acid. Apple cider vinegar isn’t that hard to make at home from apple scraps, but Bragg’s is a popular brand for those who just want to buy a healthy version. This light and delicious salad is perfect for fall. Full of sweet flavors, crunchy pecans, and nutrient dense kale, it makes a great side or a full meal if you top with chicken. Make the vinaigrette by whisking together all the ingredients for the vinaigrette. Use the wide blade of a spiralizer to thinly slice the apples into ribbons and place in a small bowl. Pour the vinaigrette over the apples and toss to coat. Let sit 2 minutes to keep apples from browning. Meanwhile, de-stem the kale and tear or chop into small pieces. Place the kale in a large bowl and massage it with your hands for about a minute until it just starts to soften and wilt. This makes it much more tender in a salad. 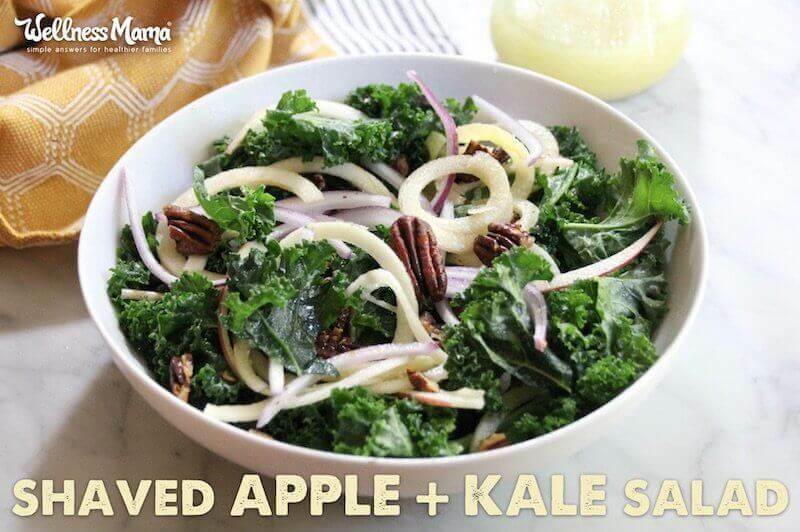 Add apples and vinaigrette to the bowl with kale. Add pecans and red onions and toss to combine. 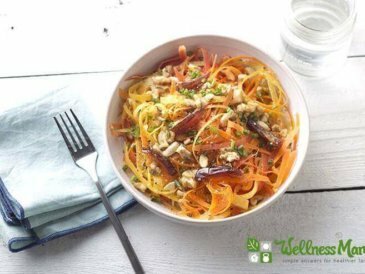 Spiralize zucchini, carrots, or sweet potatoes for a new spin on veggies, literally! No spiralizer? Thinly slice apples with a knife or mandolin.